Ep. 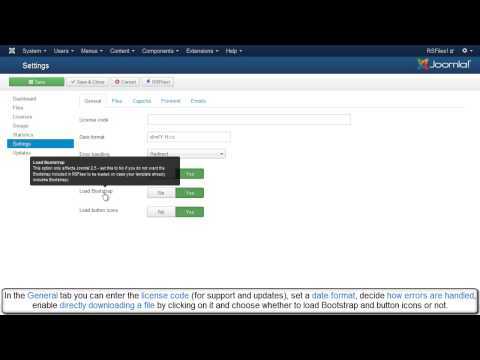 50: Publish files and folders inside Joomla! articles with RSFiles! Home / TV / RSFiles! / Ep. 50: Publish files and folders inside Joomla! articles with RSFiles! RSFiles! 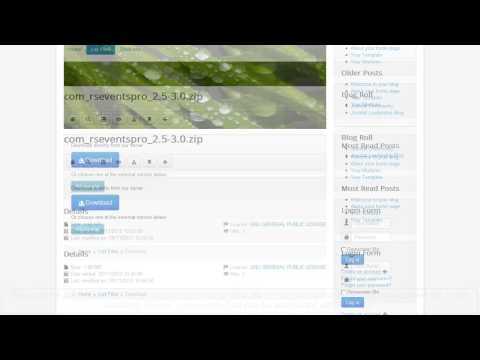 allows you to publish the file content on any Joomla! or 3rd party page. You can also publish the content of a specific folder or the entire download folder. We have previously created 3 Joomla! articles: "File Content", "Folder Content" and "Download folder". Using the RSFiles! System Plugin, we will show you how can you publish the content of a file, folder and the entire download folder inside articles. To configure the RSFiles! download folder, head to RSFiles! >> Settings >> Files, click on the "Set download folder" button and select the default RSFiles! download folder. RSFiles! uses the System Plugin to publish files and folders within a page. Head to Extensions >> Plugin Manager and make sure the System RSFiles! is enabled. Head to Content >> Article Manager. Edit the article where you want to publish the file. At the bottom of the content editor you'll find an RSFiles! button. Click and select from the list the file that you want to publish. Edit the article where you want to publish the folder. Click on the "RSFiles" button and select the folder that you wish to publish. Edit the article where you want to publish the download folder. Click on the "RSFiles" button and select a random folder. RSFiles! automatically adds the corresponding folder placeholder.